Reading Assistant builds students’ brain fitness with intensive reading aloud practice using speech verification technology to act as a tutor, providing one-on-one guided oral reading support. Reading Assistant is the only reading program that models the correct reading of a passage to students as they read out loud. This is one of the principles of best practice guided oral reading. Reading Assistant intervenes when the student falters and automatically scores students’ oral reading. Students can see their own progress and monitor their own improvement on more than 300 reading selections. How Does Reading Assistant Work? Every parent and educator knows that students benefit from extra reading aloud practice, especially when it is combined with immediate feedback and support from a teacher. making the most of each instructional minute. Help When Students Need It: Reading Assistant acts as a patient, non-judgmental listener, that provides support to all students as they need it. Patented technology provides real-time corrective feedback via speech recognition, enabling students to self-correct as they are reading aloud, improving fluency, vocabulary and comprehension. Increased Student Engagement: Reading selections for a variety of interests and reading levels, plus frequent comprehension checks, keep students motivated and focused on reading for meaning. 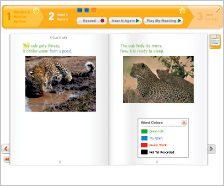 Anytime, Anywhere Access: Students use Reading Assistant online which makes the software easy to implement at school or home. 300+texts to cater for all topics of interest: Each grade band contains highly-illustrated selections, grouped in a wide variety of genres and areas of interest. This ensures students build a body of knowledge and are exposed to vocabulary in different contexts. 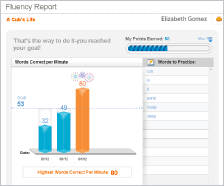 Reading Assistant is the only academic software program that “listens” to students as they read out loud, intervenes when students falter, and automatically scores students’ oral reading. 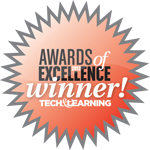 No other program or e-book provides comparable real-time guidance and feedback. See Research Results in the strengthening of foundational reading skills after using Reading Assistant. It's easy to get started. Visit our shop to purchase a 3 or 6 month Reading Assistant Subscription. A 3 month subscription is $610 and a 6 month subscription is $894. Included in your subscription is an initial 30 minute orientation call with a program specialist to ensure you get the most out of the program. 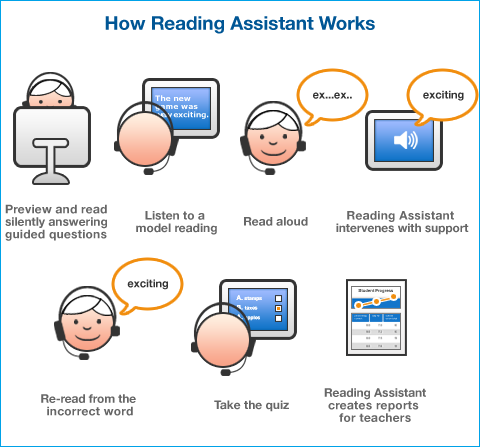 Want to know if Reading Assistant is right for you or your child? Complete the form to book a no cost phone consultation with a LearnFast specialist. We are driven by the desire to help as many people as possible overcome learning andEnglish Language communication difficulties - reading, listening, writing and speaking .